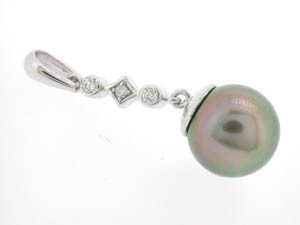 Ladies 18ct White Gold Diamond Set Black Tahitian Pearl Pendant. Diamonds Ladies 18ct White Gold Diamond Drop Earrings. Ladies 18ct White Gold Diamond Drop Earrings.